Where is Uganda? 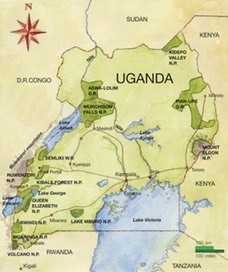 Uganda is located in East Africa and is situated on Africa's equatorial belt. It is a small landlocked country that borders Kenya to the East, Rwanda and Tanzania to the South, DRC "Congo" to the West and South Sudan to the North. It shares the second largest lake in the world, Lake Victoria, with Tanzania and Kenya. Why choose Uganda for Safari? Africa is a continent with a plethora of amazing landscapes, wildlife and cultures, thats why choosing an African destination for safari can be challenging and must be carefully decided. 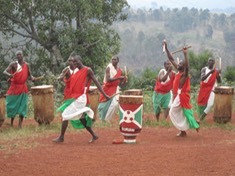 Uganda is unique for many reasons but is mostly distinguished from other African safari destinations because of its high concentration of closed canopy rain forests and the abundance of wildlife found within it that are absent from other African countries. Approximately 980 mountain gorillas are left in the world and are found in three african countries, Uganda, Rwanda and DRC. Approximately 500 gorillas call the Virunga range, shared by all three countries, their home. The rest of the Mountain Gorilla population is found in the Bwindi Impenetrable forest in Uganda (approximately 480 animals) making it the most desirable country for Mountain Gorilla viewing. 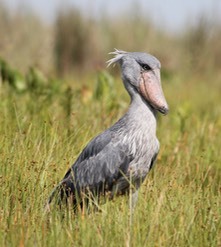 Uganda has an astonishing 19 species of primates, (13 of which are located in Kibale National park along with 250 species of butterfly) and over 1,000 species of birds including the magnificent Shoebill Stork pictured below. The size of the country limits Uganda from having grand sized migrations however Uganda has game parks filled with Africa's savanna species giving visitors the best of both types of safaris. What is the weather Like? Uganda has a wonderful tropical climate and has two season wet and dry, which occur twice a year. The hottest months are December to February and the longest rains occur in late September through November. Depending where you are, temperatures range from 72 to 85 degrees during the day and if in the mountainous rainforest region areas, it can dip in the low 60's at night. Is Uganda safe? Uganda has been an acceptably safe travel destination since Museveni came into power in 1986. Tourism is a big portion of the county’s income and therefore the government takes visitor safety seriously. Health concerns are the biggest risk on safari, all precautions should be taken when preparing for your journey to, and while in, Africa, i.e., take any prescription and malaria medications necessary, use mosquito nets and follow all of Wildlife Experience instructions on animal, food & travel safety. Uganda standard accommodations has four levels and are rated as follows: Budget, Moderate, UpMarket and Luxury. 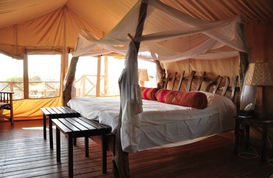 Accommodations for our group safaris are of Moderate level to Up Market unless arranged privately. All lodging & wilderness campsites have en suite facilities and linens. Beds are single sized unless a double is requested. Although single lodging can be requested when available, most lodging is based on double occupancy (two people per room, each with a single bed), see single supplement rate on Itinerary Page. 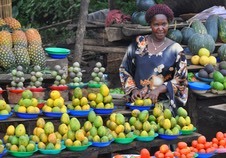 Uganda has delicious fruits and vegetables, a variety of meat choices and the meals are prepared fresh daily. 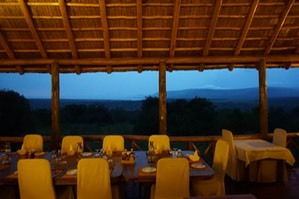 Meals range from African style buffets, menu orders, packed lunches (while connecting from park to park) and beautifully prepared meals in tented camps while in the bush. There is plenty to eat during meal time and Wildlife Experience provides granola bars, samosas and water while en route. What about Vegetarians? Yes, there is always a vegetarian option. How can you offer this safari at such a low rate? Our mission is to increase environmental awareness for the welfare of our planet's wildlife species and their future. When people have the opportunity to see animals in their natural environments a connection occurs that strengthens our respect and deepens our kinship with all living things. Therefore more people should have the opportunity to experience Uganda at a rate that's affordable. We do our very best to keep our costs down while maintaining a quality safari so more people can participate in our safaris. Do you offer trip Extensions? Absolutely! 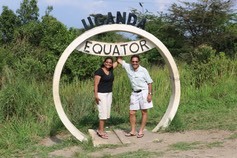 There is much to see & do in Uganda and East Africa! Whether to Kenya to see the Great Migration of 1 mllion wildebeests, Tanzania to visit the Great Serengeti planes & Ngorongoro Crater or to Rwanda trekking to see Golden Monkey or Gorillas in the Virunga Mountain range, Wildlife Experience can design an East Africa experience that's right for you. How do I start? OK here's how it works. Step 1: After you consultation with us, approve your itinerary for Uganda or any other East Africa destination. Step 2: Our trips are on a first come first served basis and are filled in deposit receipt order. As soon as possible send in your deposit for the trip along with the signed Terms & Conditions release form. A 30% deposit is required. We accept deposits on an ongoing basis until our trips are full, however, due to the high demand for Gorilla and Chimp permits it can take several months or longer to secure permits. Once permits have been purchased and confirmed there is no deposit refund. A minimum of four participant deposits are required before permit requests are made for each group safari unless special arrangements have been made with Wildlife Experience for private safaris. 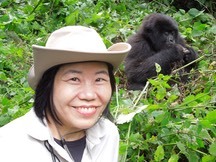 If you choose to take The Batwa Experience instead of gorilla tracking, all of the above deposit requirements and restrictions apply and the decision for gorilla tracking has to be made at the time of deposit submission. Step 3: Receive your Information Packet in the Mail. This packet will guide you with U.S. Passport & Visa information, Health & Vaccinations, Packing Tips, Money Exchange, General Travel Tips, Travel Insurance and so much more for your safari. Step 4: Send in remaining balance and all other information requested in your packet. Step 5: Begin Visa & Vaccination processing. Book International flight to Entebbe. Step 6: Arrive in Entebbe where your journey begins … leave the rest up to us!